Welcome to the Military Specifications Gallery. 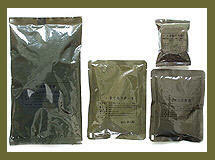 Below are some samples of mil spec packaging materials we can provide. 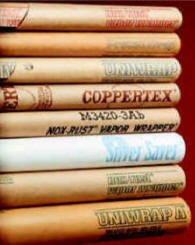 If you are looking for a government packaging spec that is not on this page, please contact us. 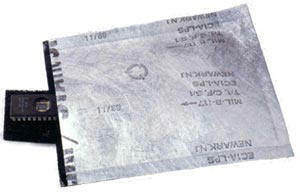 If you are looking for information on corrosion, try our anti-corrosion bags or static, try our anti-static bags. Note that these pictures are of the correct material but may show outdated specification numbers. MILITARY POUCHES. Please note due to changing inventory and specifications, the actual bags may have a different color and type style. Because they effectively control the damaging effects of external climate changes, these flexible laminated military pouches are used for products that require anti-corrosion packaging and long-term storage. Our barrier materials conform to the widest range of military specifications.